Slime House TV – The UK’s #1 independent broadcasted TV show that brings you the very best in cult music, underground movies and anything else cool, artist, retro and edgy. 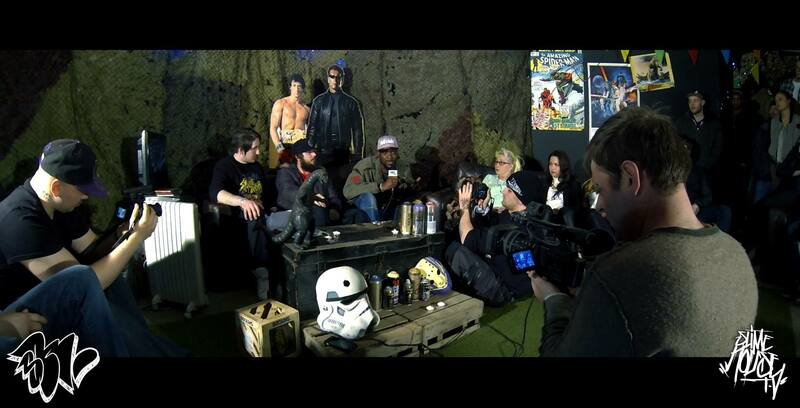 Slime House TV is a completely self-funded show and the budget for the programme is ZERO… but what we lack in funding, we make up for with the amazing line up of special guests that we feature throughout the series. The show is hosted by independent film maker, journalist and illustrator Theo Cane Garvey, AKA UK battle rapper ‘Psychosis Holocaust’, and along with his team THE SHEFFSPENDABLES will bring you deep underground, into their world, as they track down and speak to other artists on similar missions as they are, as well as throwing in a tonne of other cool stuff just for the fun of it. With a first season aired on TV and Season 2 already in production this is the best place to keep updated on this truly Unique show, so please add the group, share the episodes and trailer on your Facebook page. As sated before, we are a completely independently run show, so any promotional help is really appreciated! We are also looking for people to interview for our second season, which is currently in production, so please don’t be shy. Contact us directly if you think you, or anyone you know should feature on our show be a part of this project! Check out the FULL series of Slimehouse TV HERE!